An emergency home repair is usually compounded by weather complications, time constraints, and questions of who to call for superior work. We recently experienced all of the above challenges and feel so fortunate to have local tradesmen of such high ethical standards who really care about their customers. 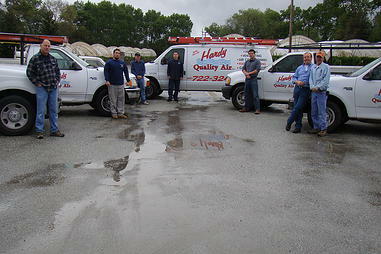 Darrell at Hardy Quality Air and Matt Rosso of Barbic Roofing responded with lightening speed, good advice and solutions for our puzzling problem. Sincere thanks to you both. We believe strongly in the “shop local” motto; but most importantly, shop quality, honesty and integrity. I’ll keep your numbers on speed dial! ​© Copyright 2012-2015 Hardy Quality Air, Inc. All Rights Reserved. Reproduction in whole or part is strictly prohibited without written consent from copyright owner.